I have added a switch to choose between a 620 ohms and 33k resistor. This attenuates the signal coming out from the interface, provided there is at least a small load(10k works fine) between audio out and audio gnd. Important: This circuit works in Canda and probably in the United States. 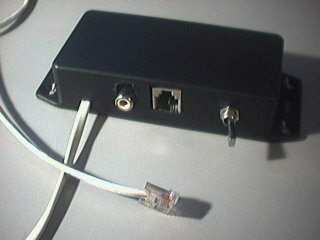 It has not been tested in europe, but it may work if the phone system is similar enough. 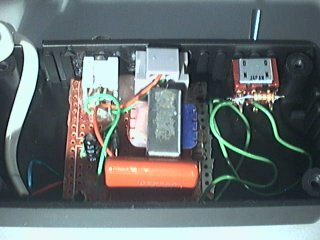 All the components I used are from an old answering machine, except the case, which I bought at King George electronic. I'm not responsible if you use this to invade privacy of people.